In the 1980’s Margaret Thatcher had just won the general election, which made her the first woman to become Prime Minister. This was a huge change for women, as they felt more empowered. Although this was a great time for change, the 1980’s also saw Argentina invade the Falklands; Britain went to war. Britain was changing rapidly and, people’s rights became vital. Marriage rates had decreased from the 1970’s, as divorce rates dramatically increased again from the 1970’s. Lifestyle: Ironically, Margaret Thatcher as a Prime Minister was an advocate for family life, however; the 1980’s saw the end of the traditional family unit. Life became more stressful as there was two recessions within a decade. Divorce rates were increasing as this was accepted and women had more rights. There was a growing proportion of split-parent families. Moreover, families lead increasingly busier lives, the increase of working Mothers saw a fundamental change in activities for some families. With both parents at work, there was less time for the children and family time. In particular, people’s lifestyle was busier and, like the 1970’s there was a lot more choice. 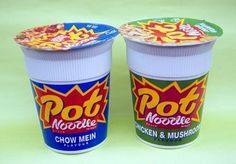 With many restaurants nearby and, ready made meals were introduced as food such as Pot Noodle became increasingly popular. Life was starting to become more convenient for either, single parents or working parents. Cooking and cleaning was not a priority and, the introduction of the fan heater, kettle, hair dryer, toaster and microwave was also convenient for the working Mother. Entertainment: There was a lot more variety for entertainment for both, adults and children. 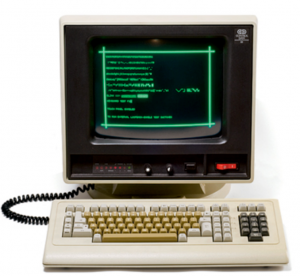 This included TV (with more channels), computer, listening to music on personal stereo’s and mobile phone’s. Again, the cinemas was still popular, along with visiting restaurants leisurely. Foreign holidays were also still popular. 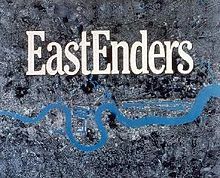 The Soap Opera Eastenders began in 1985 and portrayed the change in Britain and popular culture. Doctor Who and Tenko were also popular TV programmes. Music also contributed to popular culture and, encourage a more ‘fun’ and ‘cool’ life. Children: Decades before, within education, girls were taught how to cook, clean and become better housewives. However, that had all changed as education was the same for both girls and boys. Children were also involved in various hobbies and activities. This included girls guides, scouts, football, cricket and dancing. This encouraged independence and, socialising. Again, this was more time away from family time. Reading books, playing cards and board games were becoming less popular. Again, children were given more choice and had more choice in their lives. In conclusion, there was a lot of change within this decade. Divorce rates were increasing as the world and society were changing. Family life was not as important, life was more leisurely and led lightheartedly. Again, like the 1970’s, this may have caused family breakdown. By society and government making life easier, family time was not as important as there were other things to do.